Map your Native Instrument controllers. Is there a better alternative to Controller Editor? Is Controller Editor really the best app in Audio category? Will Controller Editor work good on macOS 10.13.4? With Controller Editor, you can precisely define which MIDI message has to be sent upon any action you do on your Native Instruments controller. This way, you can put your whole music setup right at your fingertips and remote control every MIDI-capable software or hardware from your NI controller. KORE1, KORE2, AK1 and Rig Kontrol 3 were removed from Controller Editor GUI. Existing MIDI templates of these products are still supported. 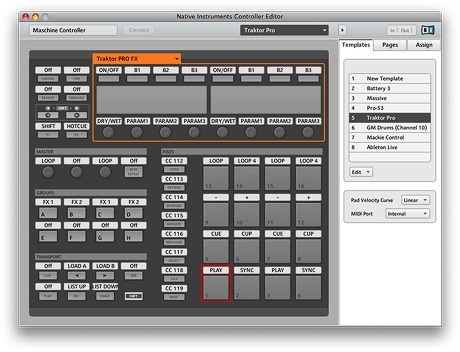 To modify MIDI templates for these products, please use Controller Editor v1.7.4. Controller Editor needs a review. Be the first to review this app and get the discussion started! Controller Editor needs a rating. Be the first to rate this app and get the discussion started!